This massive crystalline gold nugget comes from Pilbara in Western Australia. It weighs 20.44 Troy Ounces (635.7 Grams). 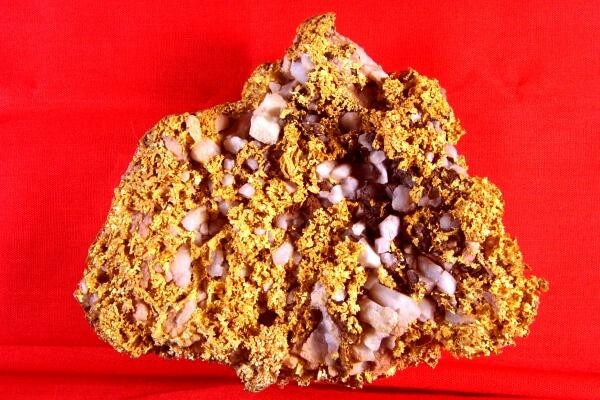 It has some quartz mixed in with the gold and a specific gravity test shows that there is 16.11 Troy Ounces (501.02 Grams) of gold contained in the specimen. The size is 3.5" long x 3.25" wide x 1.25" thick. This is a gorgeous and unique gold nugget. It is not often that you see such a huge crystalline gold nugget. 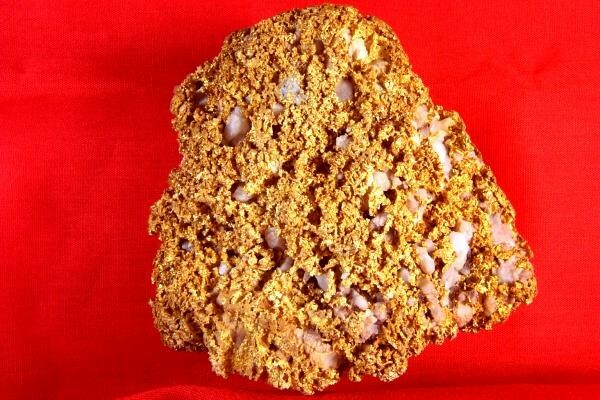 This is a great opportunity to add a rare and beautiful Australian gold nugget to your collection. It also makes a great investment. Australian gold nuggets are very pure 22KT - 23 KT (92% to 98% pure), making them some of the purest gold nuggets on earth.